Haute Revel - Crafting of all kinds by a revellious spirit. After just over 3 years, in March of 2015, I finally, finally finished my Bronwyn shawl (pattern). It had been sitting around, completely knit, for a very long time – I just needed to sew in the ribbon. So sew in the ribbon I finally did, and then I pulled my hubby outside for a quick photo shoot. Despite the snow, it was actually not that cold that day – -5 was quite balmy after the typical -30 to -40 temperatures featured by Mother Nature last winter. This is the shawl for which I made the Susie Rogers’ Reading Mitts, also modeled in the photos above. My Sunda Warmers also managed to make the shoot, due to their colour (and the cold). I suppose this is one advantage to always buying the same colour yarn! Looking back at the lack of posts over the last little while, I realise I have a lot of catching up to do. I came close to finishing a number of knitting projects this year, and should post about them as a sort of post-mortem, at the very least. I decided it would be nice to try to make as many tatted snowflakes as possible and send them to family members who have unfailingly sent me Christmas cards, and presents, throughout the years, despite my very delinquent behaviour in return. So far, I’ve made three – the first of which was such a monumental failure, I refused to dispatch it to anyone, and the other two of which were sent off, the latest today. For some reason, I’m finding tatting extremely addictive – much more so than knitting. It’s far, far easier to fix mistakes – as frustrating as it is to sit there unpicking stitches for 30 minutes – that’s still much less time than it takes to go back on a knitting project! And the turn-around time for these projects is no more than 3 evenings of a few hours here and there – compared with the months and months that goes by in between each time I’m able to pick up the knitting needles, figure out where I left off, and continue. And finally, the result is just so satisfying! It’s intricate, detailed, beautiful… and each one is better than the last. It’s time to make some changes around here. 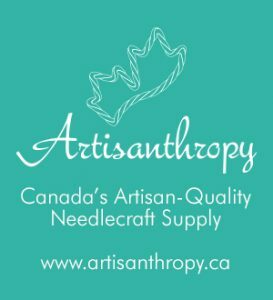 I’ve decided to remove my Etsy shop, at least for the time-being, because the sales over there simply weren’t even covering the fees I was having to pay to maintain the listings. I’m really not into wasting cash, so – that’s done for now. I think, in future, despite Etsy having a great searchable marketplace, in order to avoid rent fees for being in it, I’ll open my own shop on this site. But for now, I need to spend some time developing new products, and exploring the craft. I haven’t had time to do much more than design / scribble and think about what I’m going to produce next, and that has to change. I can’t post anything new and mind-blowing if I’m not even spending any time producing! In other news, I now have a home studio. It looks like a bomb’s gone off inside of it, so that’s just one more thing on the list to sort out – once I have some time. But I’ve got a fantastic workspace: a large, heavyweight desk that holds both my serger and sewing machine; a wonderful bust that must harken from the 50s or 60s; and loads of wall shelf space, thanks to a handy-dandy hubby. I also picked myself up a neat little clothing rack from Ikea, and some fancy-looking hangers to hang my finished projects on for photographing purposes. In the works is a plan to re-jig some of my many websites. I’m planning to re-file my past crafty ramblings from another blog into this one, and then turn that domain into something else entirely… lots of IA needs to happen, and right now I’m considering how all the pieces will fit together. This is important to me because it’ll allow me to re-focus all my projects (both real-world and cyber) and get moving on them again. They’ve all been laying stagnant for far, far too long. So here’s to renewals in the middle of the year. Gotta love summertime motivation! I recently picked up a few beautiful new yarns on a yarn crawl, which I will post about soon [edit: May 13, 2015: finally published the post about the yarn crawl here]. But for now, I just wanted to take some notes on potential patterns for these yarns, as I’m pretty excited about them! Saved Rav search for these patterns. I first picked up the sticks in about January of 2010, but I only began logging my knitting progress on February 9th, 2010, in my first post at Knitravel: Knitters Delight. 4 years later, I’ve decided to do an anniversary look-back at my annual posts around this time for the past 4 years, as a way to track my progress with this hobby. In Knitters Delight, I was trying out a legwarmer pattern. I had so much difficulty keeping that pattern straight, I gave up on it and never finished the pattern. Looking back, this is amusing to me now, because it was so freaking easy, but I had so much trouble with it! I would knit a few rows, find a dropped stitch, flip out in complete exasperation, undo my work, and try again – and repeat. Highly frustrating. Not to mention, the yarn I bought was the cheapest yarn I could find (as, when I arrived at the knitting shop the first time, I was absolutely floored by how ridiculously expensive most yarns were – I’ve since come to accept the high costs involved in this hobby! ), and therefore extremely unpleasant to work with, especially with my dry, cracked hands caused by our skin-destroying Canadian winters and North American diets. Apparently, I only published 3 posts in 2010. I suppose I didn’t do too well that year, and mainly concentrated on learning the craft, rather than writing about it. My first post around this time in 2011, was from March 28 – reviewing my Coachella. I was semi-satisfied with the result of that project – the final piece looks fantastic on its own, but doesn’t quite fit the way I wanted it to. It tends to slump – it’s basically just slightly too large in the middle front. Maybe I’ll grow into it… 😛 Stitch-wise, there doesn’t seem to be any mistakes in it, and I loved the yarn – it feels just like suede, as it’s meant to! And the colours are two of my favourites – teal and berry. Fast-forward another year, the beginning of my 3rd, to Febuary 10th, 2012, and we have the photo shoot of the first item I knit from a pattern I designed / created from scratch: Sundae Warmer Photo Shoot. At this point, I was finding knitting to be a total breeze – I was even so bored with just knitting other people’s patterns, I started to create my own. And while this one is really basic, it gave me the confidence to begin something a little more complex: namely, an adult version of the ruffle yarn skirts I see all over the place for babies.Why should babies have all the fun! And, at the beginning of my 4th year of knitting, on February 14, 2013, I was so confident with knitting, I decided to begin some experiments – and posted about Felting Experiment #1: Freeform Desert Throw. Finally, at the beginning of my 5th year of knitting, I started off with quite the slew of finished projects – which bodes well for the coming year. I look forward to coming up with new designs for my Etsy shop, nailing down a few more pattern PDFs, and working on building up my knitting skills – not to mention launching my yarn shop, yarn crawl hotel bookings, and – finally – releasing my Android Ravelry knitting app, KnitKapp. There’s something about even-numbered years – I just like numbers divisible by 2. Some kind of harmony to them, I suppose. Odd numbers just seem… so odd! So 2014? It’s going to be an AWESOME year. I won’t let it be any other way! Just wanted to post a quick update I made recently to my free Sundae Warmers legwarmer knitting pattern – I’ve now updated the text so it should be clearer now, published a PDF for download, updated the Ravelry pattern page, and added the PDF to the Ravelry store (still for free).